Get your pet into the game with this officially licensed NFL pink pet t-shirt designed with the Oakland Raiders team logo! 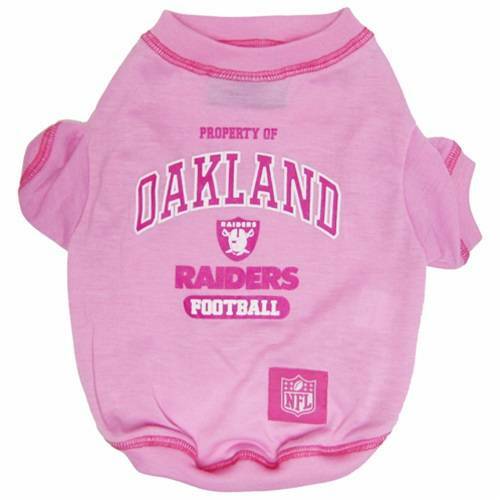 Get your pet into the game with this officially licensed NFL pink pet t-shirt! Designed with the Oakland Raiders team logo, this t-shirt features a contrasting top stitching and a woven NFL shield jock tag. Measure your pet from base of neck to base of tail to ensure a proper fit. If your pet is between sizes or has a stouter build, it is recommended that you select one size larger.